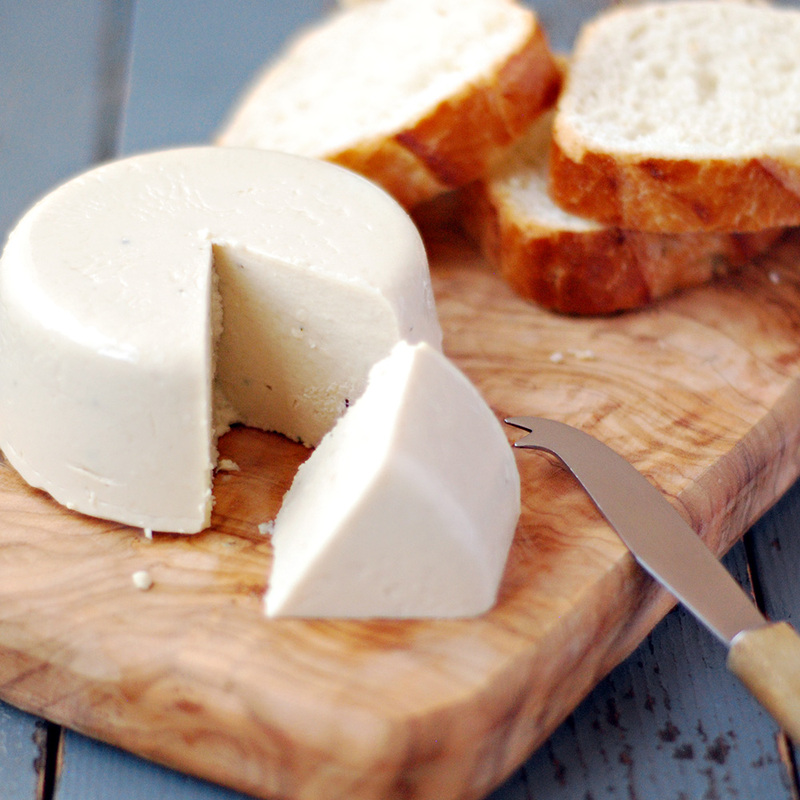 This vegan cheese is absolutely delicious!! The taste and texture are amazing and it goes extremely well with crackers, salad, grapes and on its own. It was an instant hit at home and something I know I’ll do often. Lightly oil 2-3 small ramekins. Ground the cashews on a food processor or blender but do no allow it to turn into a paste. Add the nutritional yeast, salt, thyme and garlic powder. Pulse a few more times to blend in the spices. Combine the soy milk, agar, and oil in a saucepan and bring it to boil, over high heat. Decrease the heat to low, cover and simmer for 10minutes, stirring occasionally. With the food processor running, gradually pour in the milk mixture through the feed tube. Blend for about 1 minute, or until the mixture is very smooth and creamy. Add in the miso and lemon. Transfer the mixture to the ramekins; cover and refrigerate until firm, about 1:30 hours. Once it is firm, use a knife to gently remove the cheese from the ramekin. Grate or slice the cheese as desired.